With Pineapples reaching $3 a piece on the retail shelf, I received a question regarding the proper procedure for sampling pineapples when determining the percent of soluble solids (brix), specifically how many pineapples would have to be destroyed, for the extraction of juice. The produce inspector had done his research, noting the USDA does not have specific documented procedures on how to determine the percent of soluble solids for pineapples. The USDA does have specific procedures for soluble solids when inspecting cantaloups, grapes, kiwi, and watermelons. The procedures vary, ranging from selecting 4 watermelons to 15 kiwifruit to extract the juice. Because there are no specific USDA procedures for pineapples, the USDA does have a “default” procedure to follow. The inspector should randomly select 2 pineapples from each sample, plug the pineapple (reaching into the center of the pineapple), remove the skin, and squeeze the juice from each plug. The juice is mixed up, creating a composite sample of juice, to be placed on your refractometer. But the big question remains, “How Many Pineapples Will Be Destroyed?” Since the USDA will select 2 pineapples per sample, the real question is, “How many samples are needed?” The USDA usually follows a 1% sampling rate guideline, but will take a minimum of 3 samples for smaller lots. 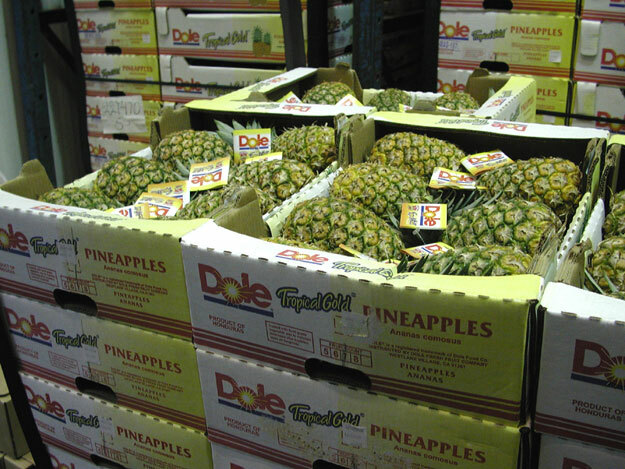 For example, for carton lots of up to 350 cartons, the USDA will sample 3 cartons, resulting in 6 pineapples being randomly selected for the soluble solids (2 per sample). If there are 500 cartons in the lot, the USDA will sample 5 cartons, meaning 10 pineapples will be selected for soluble solids. If there are 1000 cartons in the lot, the USDA will sample 10 cartons, and select a whopping 20 pineapples to plug for soluble solids. This procedure will be followed no matter the type of carton. Even if the cartons only hold 6 pineapples, 2 pineapples, or 33% of them will be selected for soluble solids determination. Personally I think is an overkill. I would think if you randomly selected somewhere be 4 and 7 pineapples (as is the case for watermelons and cantaloups) and follow the proper procedure when plugging the fruit, removing the skin and squeezing the plugs for a composite mix, this should work for you and your shippers. 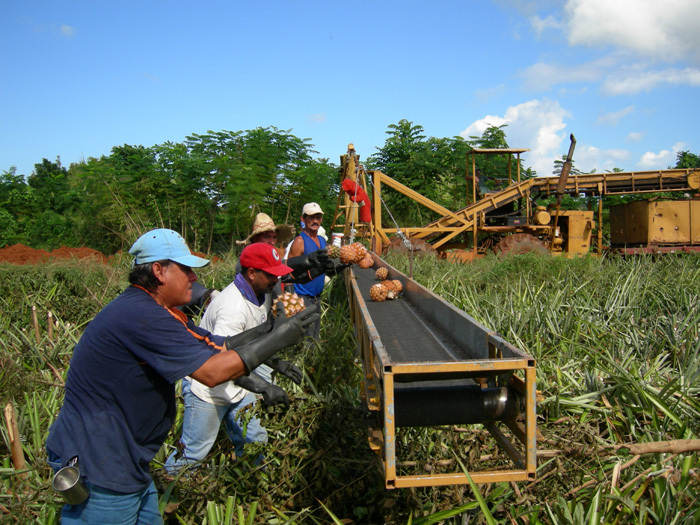 Click here if you would like to read the US Grade Standard for Pineapples. I would love to hear from others and hear what procedure they follow when sampling for soluble solids.